Leinster recorded their first win in this season's RaboDirect PRO12 with a convincing 31-10 victory over the Newport Gwent Dragons at the RDS Arena. Isa Nacewa kicked two penalties to one from Jason Tovey as Joe Schmidt's men, who looked the more threatening side in the first half, took a 6-3 lead into the break. The hosts extended their lead early in the second half courtesy of superb tries from Brendan Macken and Ian Madigan. Tovey then touched down for the visitors, but Fionn Carr raided through for a 77th-minute try and man-of-the-match Nacewa took his kicking haul to 16 points to seal a deserved triumph. Leinster got off to a sprightly start, Carr and David Kearney running hard at the Dragons' defence before Nacewa clipped over a sixth-minute penalty. The fullback was narrowly wide from further out two minutes later, and the Welsh region got up to speed by working a couple of overlaps out wide. The influence of the Dragons back row grew, with Hugo Ellis and Gavin Thomas ever-willing carriers, and Tovey landed a right-sided penalty to level the scores. Nacewa delighted the crowd with a deft kick and collect and then some excellent footwork to avoid the grasp of the advancing Adam Hughes. Leinster saw more of the possession in the second quarter, but the Dragons' disciplined defending kept them at bay and unforced errors also cost the hosts. A dazzling run from Carr on the half-hour mark set Leinster on the move again and Kearney was inches away from crossing the try-line. A determined last-ditch challenge from Martyn Thomas denied him, although another Nacewa penalty soon edged Leinster ahead again. Some good ball retention got the Dragons back to the Leinster 22 but Joe Bedford opted to tap a kickable penalty and the Welshmen were offside in the next phase. A classy counter-attack from Carr saw him light up the early stages of the second half. He blasted past Gavin Thomas and tore into the Dragons' half before passing for Macken to cover the final 25 metres into the left corner. Another long-range surge then nabbed a second try for Leinster. This time it was a piece of individual brilliance from out-half Madigan as he broke over halfway, got away from Steffan Jones and grounded the ball despite the best efforts of Mike Poole. Nacewa converted the second of the tries and added a penalty approaching the hour mark to leave the Dragons 21-3 adrift. Darren Edwards' side showed resilience with a slick counter down the left which saw Pat Leach break away and pass for the supporting Tovey to go in behind the posts. 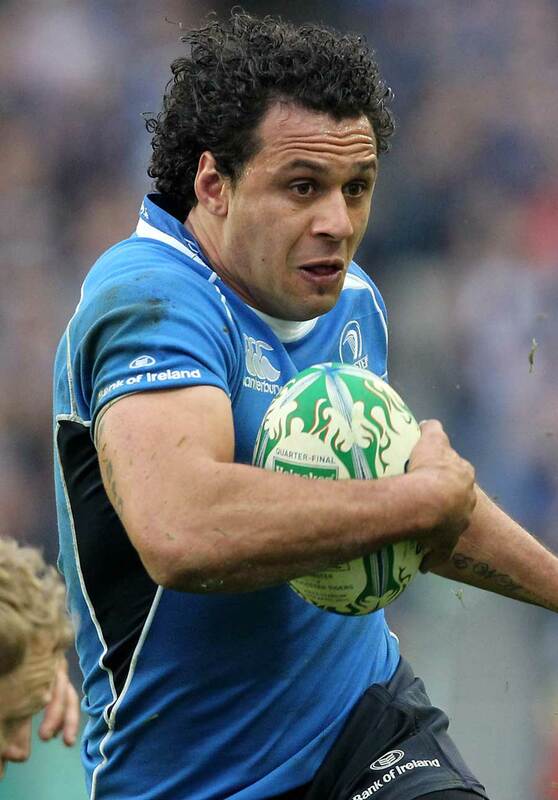 Tovey added the extras but Leinster kept on course with another precise penalty from Nacewa. The yellow card for Dragons captain Tom Willis, who was offside and interfering at a ruck, looked to be the final noteworthy act until Carr's deserved score. Ryan held up the ball well having gathered a kick and replacement Leo Auva'a romped into open territory before finding Carr, who evaded a final challenge on a strong run to the line.